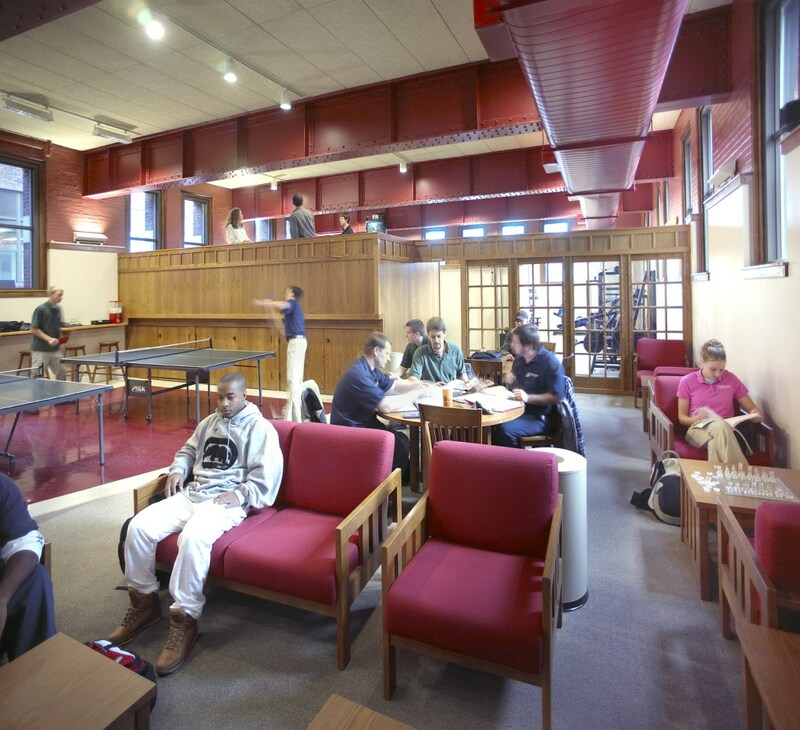 Ranken’s Student Recreation Center provides space for students to relax between classes. Featuring wireless internet access and a full suite of cardio and weight-lifting equipment, the student recreation center is a great addition to Ranken’s campus life. In the fall of 2010 brand new cardio equipment, both treadmills and ellipticals, were added. The student recreation center is open whenever the campus is open, and is available for both student and alumni use.